Born in Brisbane in 1978, Sam Bates graduated with a Bachelor of Music from the Queensland Conservatorium before moving to Melbourne in 2003. Since then Bates has worked with some of the country’s leading improvisers including Scott Tinkler, Julien Wilson, Aaron Choulai and Zac Hurren, earning him recognition within the Australian jazz scene. A recent collaboration with Aria Award winning singer/song writer Ollie Browne has enjoyed critical praise, as has The Sam Bates Trio’s 2010 release ‘The Singularity’ featuring Marc Hannaford and Philip Rex. In 2011 Bates received a fellowship from The Banff Centre International Workshop in Jazz and Creative Music and was also selected as a finalist in the National Jazz Awards. More recently Bates was awarded the Alan C Rose Memorial Trust Scholarship from The Victorian College of the Arts. 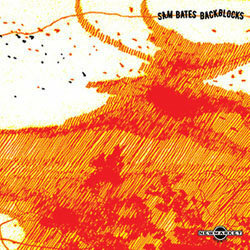 This helped to fund a national tour and a second album for The Sam Bates Trio. Bates has performed and recorded with a variety of artists including Katie Noonan, Christine Anu, Joe Chindamo and Wycliffe Gordon. His drumming can be heard on various releases from ABC, Sound Vault, Shock and Newmarket Music.